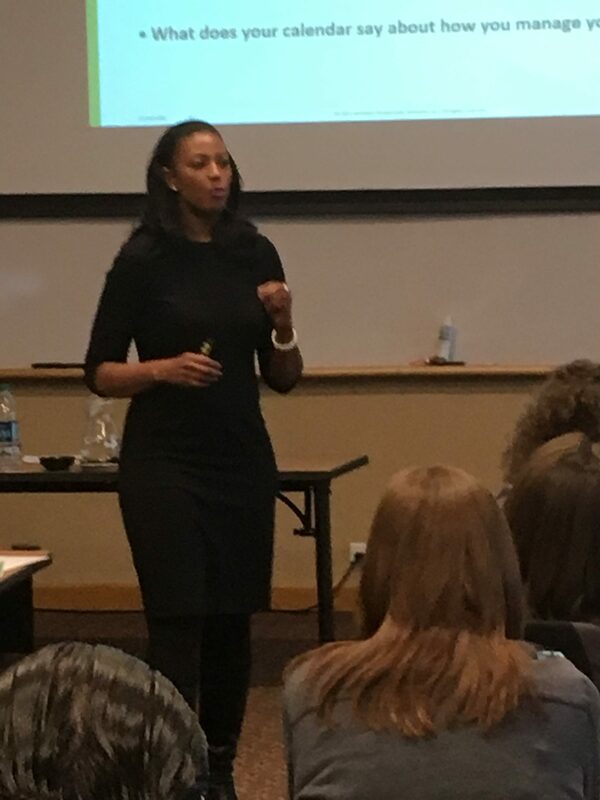 Jendayi Harris, affectionately known as J, has over 20 years of corporate experience and seeks to enrich leaders to manage emotions, time, and teams effectively. She enjoys coaching leaders 1:1 to create big results without the side effects of poor health, no fun, family upset, and an overwhelming inbox. 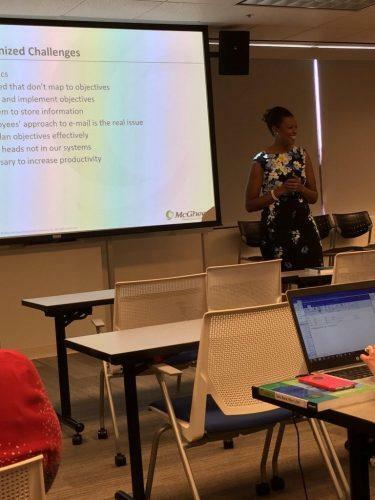 Since joining McGhee Productivity Solutions in 2014, she’s served various roles at McGhee Productivity Solutions including Take Back Your Life Program Leader, Training Manager, and Delivery Consultant. 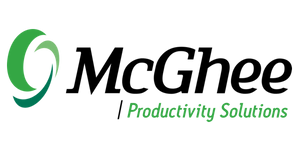 J created and developed three programs for McGhee Productivity Solutions including Productive Conflict Resolution, Concise Correspondence, and Personality and Productivity. She continues to create customize content development work for clients. 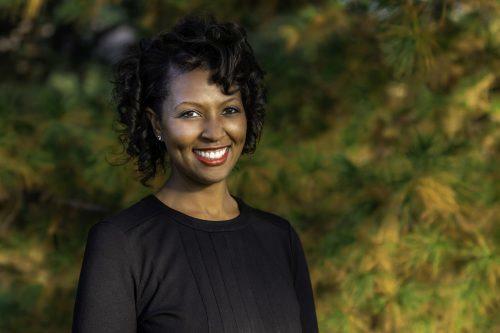 Jendayi received her bachelor’s degree in business from Seton Hall University in South Orange, NJ as a part of the Martin Luther King Scholarship Association, and a Master of Arts from Colorado Christian University in Counseling Psychology. She holds a Licensed Professional Counselor designation in Colorado and is a Board Certified National Counselor and Health Coach. Jendayi is also certified in Emotional Intelligence and DiSC Personality Assessments. She has ten years of experience in the financial industry. She believes it’s important to embrace your humanness and not progress, not perfection, when it comes to productivity. It’s keeping key priorities top of mind , taking time for yourself no matter how busy you are, and happiness with who you are at the end of the day. 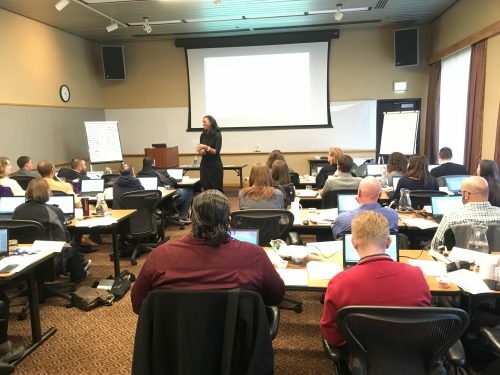 Objective Accountability Program – getting a leader and his or her direct reports in room together to share unspoken points of you, gain clarity on business priorities and bond creates both tangible and intangible outcomes that makes my heart sing. I enjoy it because I can fully utilize my background in business as well as psychology. I’m working on my first book, running, enjoying family and friends, or coaching someone to an enjoyable career or getting their business started.